Over the course of his 40-year legal career, Leslie J. Shaw has narrowed and focused his civil litigation practice to the exclusive subject matter of family law. He is only a part of a few Divorce Lawyers in Reno Representing clients throughout the states of Nevada and California – and being awarded the status of a Certified Specialist in Family Law by the California Board of Legal Specialization, State Bar of California – he continually rededicates himself to representing his clients at the highest possible level. A family law dispute is sometimes the only experience a spouse and/or a parent has ever had with the judicial system; this experience can seem bewildering, it can be anxiety producing, and it often creates a sense of instability and unpredictability about one’s future. 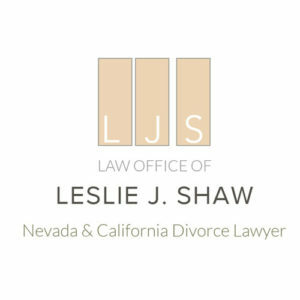 Nevada and California family law attorney Leslie J. Shaw has, over the course of the past four decades, represented his clients effectively in advocacy in litigation, and just as importantly, in understanding and addressing those concerns, fears, and anxieties that litigation often creates. His practice in these neighboring states, where issues often arise of consideration or application of the law of one state in another, lends itself to his particular expertise, experience, and knowledge of family law litigation and the client experience of such litigation.